Grès was a French haute couture fashion house. Parfums Grès is the associated perfume house, which still exists, and is now based in Switzerland. Germaine Emilie Krebs (1903-1993), known as Alix Barton and later as "Madame Grès", launched her design house under the name Grès in Paris in 1942. Grès's first and most famous perfume was Cabochard, created by Bernard Chant, and launched in 1959. She brought out her first Perfume Cabochard in 1959. She gave out a licensing agreement for scarves and neckties, and designed jewellery for Cartier. However in 1982, to keep her couture going, she rashly sold her Perfume rights to Beecham. Her signature was cut-outs on gowns that made exposed skin part of the design, yet still had a classical, sophisticated feel. She was renowned for being the last of the haute couture houses to establish a ready-to-wear line, which she called a "prostitution". The name Grès was a partial anagram of her husband's first name and alias. He was Serge Czerefkov, a Russian painter, who left her soon after the house's creation. Grès enjoyed years of critical successes but, after Grès herself sold the business in the 1980s, it faltered. A large Japanese fashion distributor Yagi Tsusho, bought the name Madame Gres in 1988 and has developed the brand in Japan. 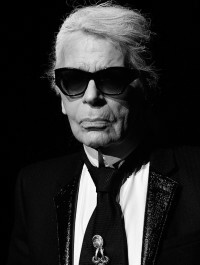 Designer Lloyd Klein was chief designer in Paris from 1994-1997. The house of Gres continued under designer Frederic Molenac who joined the house of Gres in 1995. In the summer of 2002, Japanese designer Koji Tatsuno took over. Tatsuno is very respectful of the legacy of Madame Gres, and intends to continue her draping style using new and modern techniques and retaining the beauty and elegance of the House. Alix and Gres gowns, stand for an ideal of beauty and skillful handwork now nearly obsolete. Her method never changed. She worked 365 days a year producing nearly 350 models. She worked with a live model, making a pattern directly on the figure. She cut, pinned and fastened the toile herself. Having directed the flow of the folds with her hands, she then had the unpressed pleats stitched into place, making these pleated areas appear to be woven into each other. The fabric fell from them to the floor in graceful folds. 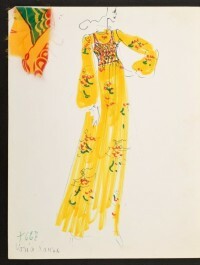 She also designed bias-cut, away from the body (bias usually follows the body) dresses and caftans in bright gilt brocades, failles, linen, silk, satin and organdy. Using stiff paper taffeta she made togas that fell in a triangle from neck to floor. Her dresses used cut rather than a print, combining different colours of the same fabric in a patchwork. Her day clothes of leather, soft wool, tweeds and plaids were hooded, batwing-sleeved, shaped like kimonos or caped. Her silhouette changed little in half a century, for current fashions have never guided Gres in placement of waistline or hemline. She did not design for the glitterati, but for rich women who conducted truly private lives. Among them were Gersende de Sabran-Ponteves, Duchess d'Orleans, Princess Ghislaine de Polignac, the Begum Aga Khan, Princess Grace of Monaco, Marella Agnelli and Marie-Helene de Rothschild.